Posted January 28th, 2017 by Taarka. 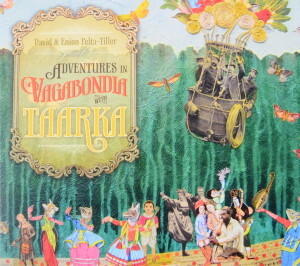 Mandolinist David Pelta-Tiller and violinist Enion Pelta-Tiller enlist a colorful cast of characters for Taarka’s 5th CD, delving into their deep musical roots- New Acoustic, Gypsyjazz, Folk, Celtic, bluegrass, pop —to create a brave new sonic world. Also available on CDBaby, Amazon and iTunes.